The county’s stellar unemployment rate. With a jobless rate consistently below 4 percent — a level that economists consider “full” employment — how could the gourmet meal-kit producer find the 200 people it eventually would want to hire? Then John Biemiller of the Economic Development Company of Lancaster County, which was helping Gobble’s site search, suggested Robinson meet someone. It was Cathy Rychalsky, executive director of the Lancaster County Workforce Development Board. The board oversees the local CareerLink — a one-stop-shop for job seekers. 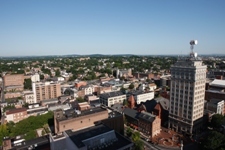 Over breakfast at the Lancaster Marriott at Penn Square last October, Rychalsky explained how CareerLink could help. It houses 14 agencies that provide skills training, job-search help and other services to 36,000 people a year, including people facing barriers to employment. That helped convince Gobble to open its operations center this January at 2910 Old Tree Drive in East Hempfield Township with 65 employees. 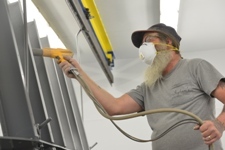 Serving 35 states, it expects to have a 200-employee workforce 18 months from now. Robinson recounted the recruiting of Gobble during a press conference Wednesday at CareerLink. 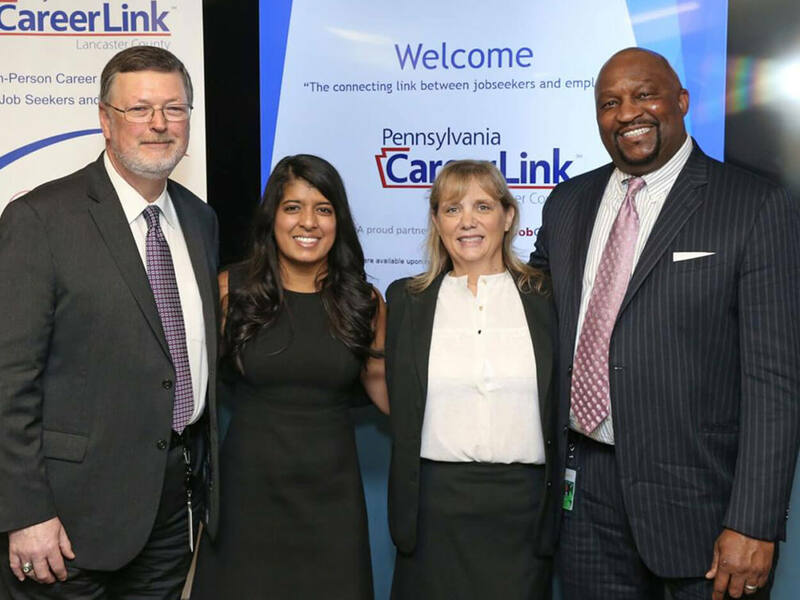 The event celebrated the firm’s arrival here and CareerLink’s array of programs and services. Robinson, vice president of operations, said that CareerLink not only helped Gobble lay out a hiring strategy but helped Gobble carry it out too, hiring its entire workforce via CareerLink. Gobble held all four of its hiring fairs at the North Charlotte Street facility. Gobble also drew employees from CareerLink programs that aid people who have prison records, disabilities, no work experience, long spells of joblessness, different learning styles and other obstacles to employment. “Everything we’ve done has been facilitated through this facility, this team, this group of people with a heart and passion to be that hand up for folks that want to do it but just need a little support,” said Robinson. Ooshma Garg, Gobble founder and CEO, said the local support helped persuade her to put the facility here. “I toured the entire country, met with all different county and state officials, looked at all different kinds of facilities, ran large analyses. We chose to settle here, in large part, due to the Economic Development (Company), CareerLink and the Workforce Development (Board),” she said. Robinson said Lancaster’s central location, access to main roads, proximity to population hubs, strong work ethic and produce-growing farms also were major factors.